What Does Transponder Key Programming Cost in Houston? Almost every car made these days is fitted with transponder keys. Transponder keys are keys that have a chip embedded in them. Transponder keys are considered essential for the security of your vehicle and prevent car theft, as it is impossible to start the engine without a signal from the transponder chip in the key fob. These keys cannot be easily duplicated. But what if you need your transponder key to be reprogrammed? Say you have damaged the transponder chip, and suddenly, you find that you cannot start the car because the transponder key isn’t working. Can you get it replaced? How much does transponder key programming cost in Houston? The cost of the transponder key programming depends on whether you get it done by a car dealer or by a car locksmith in Houston. If you hire a Houston car locksmith to program the transponder key, that would cost you between $75 and $200 – which is not cheap, but certainly much less than what it would cost you to get the same service done by a car dealer. The problem you will have with hiring a car dealer to program the transponder key is that they take between two to three weeks to get the job done. They cannot program the transponder key without receiving permission from the car manufacturer – this can take a long time. Plus, they will need all sort of documents and IDs from you, which can be a real hassle when you are in a hurry and just want your transponder key to work, so that you can start your car. Here’s the worst part – you will need to get the car towed the car dealer. This means paying extra for the towing service. So getting the transponder key programming done by a dealer could cost you close to $1,000 – which is a lot, anyway you look at it. Advantages of hiring a Houston auto locksmith for transponder key programming? As discussed before, it doesn’t cost much – just $200, at the most. The automotive locksmith in Houston would arrive at your location himself and take care of everything from that point. The locksmith won’t ask you for too many documents, apartment from a proof of your ID or the driving license. You certainly won’t need to fill up any paperwork. It takes the Houston automotive locksmith about a day or two to get the job done, so that you can use your car again and be on your way. This is certainly a much easier and simpler way of getting it done. You should, however, hire a car locksmith with a lot of experience and the requisite technical knowhow for the job. You can’t hire just about anyone. They should know how to program the chip in the transponder key. The last thing you will want is to get the chip damaged. 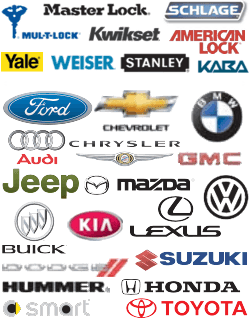 So exercise caution and hire only the best car locksmith in Houston for the transponder key programming. What Does Transponder Key Programming Cost in Houston? http://713locksmith.com/transponder-key-programming-cost-houston/ 4.0/5 based upon 10 reviews.